Charleston weddings are what most new couples are seeking for. Today Charleston, South Carolina is well known for its Southern Charm. Beautiful places and smiling faces. This friendly Lowcountry features an array of the beautiful palette and historic homes, beaches and southern plantation to top it off makes this makes Charleston, SC the #2 choice for all wedding couples...The choices here are endless and so are the possibilities. From unique and very different historic homes in Charleston ranging from, The Gadsden House, Thomas Bennet House, The William Aiken House, Hotel Bennett, The Gaillard Center, Gibbes Museum, Merchants Hall, Harbour Club, Cannon Green, The American Theater, Historic Rice Mill, Lowndes Grove, The Dewberry. The Cedar Room, The South Carolina Aquarium, Legare Waring House. All unique in their own style, ranging from Ocean tanks to Circa, to historic homes. ..If your choice is for Plantations, look no further Boone Hall Plantation located in Mount pleasant founded in 1681, Magnolia Plantation founded in 1676 amazing 4 beautiful unique venues in the same property, Middleton Place over 900 years old perfectly manicure gardens perfect for the intimate outdoor setting, Wingate Plantation dated back to 1930, ..If you are looking for the most exquisite beach venues, Kiawah Sanctuary and the many other venues and golf resort they offer is a perfect choice, Wild Dunes Resort on Isle of Palms is like no other, and the Citadel beach house is unique in it is on way. Seabrook Island is very popular and very quaint...To explore Charleston, South Carolina will leave you with so many decisions for your wedding, they say that many leave here on their first visit and always come back. 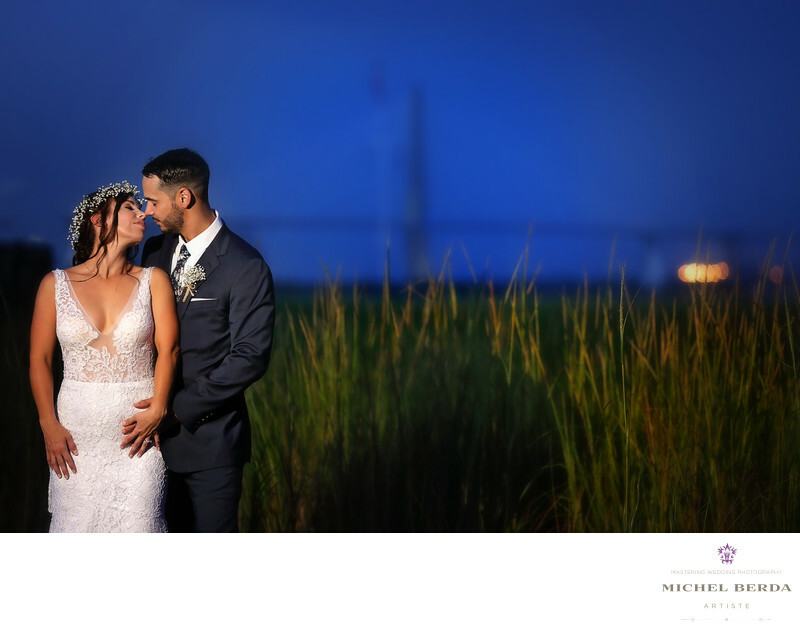 This is why in the southeast Charleston, South Carolina is very well know for having many grand low country weddings.Keywords: Charleston (1179), Michel Berda (1140), photographer (1125), Wedding Photographer (1254).